One of the oldest way to prepare food, which is not only cost effective but also great for your gut health, is by fermenting them. 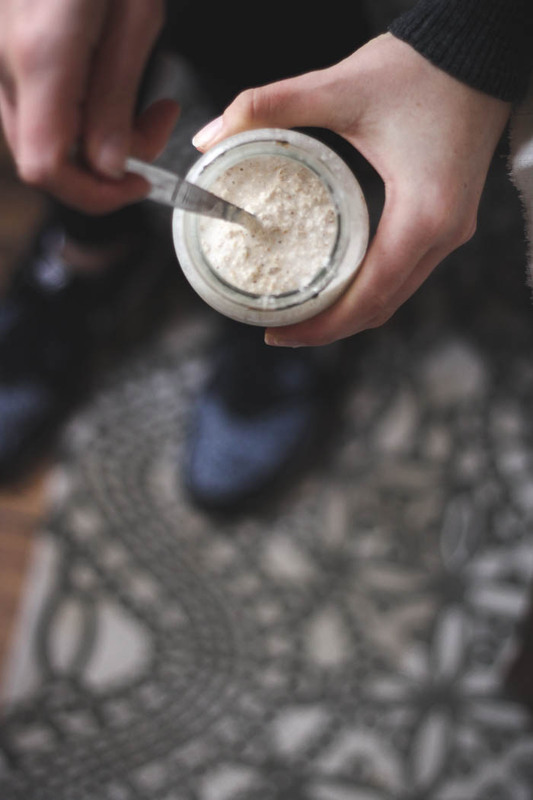 We have seen a growth in popularity of fermented food and drink such as kombucha, sauerkraut, kimchi and kefir as we become more and more aware of the connection between gut health and our overall health. And while fermented foods and drinks can be expensive to buy, they are very inexpensive to make yourself at home. One I have been experimenting with a bit lately is fermented oats – or sourdough oats as I have been calling them, as the process is a little similar to making sourdough bread (well, asides from the actual bread part – though in theory you could use the fermented oats starter to make bread from… another challenge to experiment with!) The idea is that you mix the oats with water and leave at room temperature, loosely covered, for a few days to ferment. To make your starter, you simply need to mix oats with a slightly greater amount of water. When you first combine the two, the mixture should be a little thicker than “gluggy”, but not so runny that it separates too much. I usually use around 1 1/4 cups of water per cup of oats. The mixture will look quite thick at this stage as you can see in the image below. The speed of the fermentation will vary depending on the temperature inside your home, but it usually takes around two days for your oats to ferment, slightly longer if your house is cooler and slightly less time if your house errs on the warmer side. Your starter will be ready when bubbles start to form (see image below) and it has a slightly soured, yeasty smell. The taste of the oats here will be similar to the scent, and this will continue to develop the longer you leave the grains to ferment. Once you are ready to use the oats, remove the desired amount, replace with the same amount of raw oats and water, stir well and then leave again to sit and ferment for a few days. If you do wish to speed up the fermentation time or give it a kick start, you could add some whey or kefir in the initial mix, however I usually find that this isn’t necessary and the grains ferments fine without it. 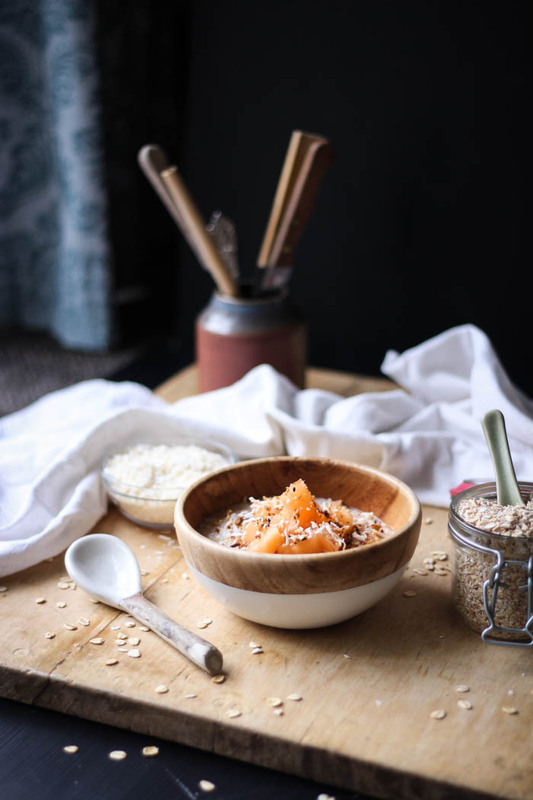 Once you have your fermented starter, you can use it as part of your normal oat recipe to make either cooked porridge or raw bircher muesli/overnight oats. You could of course eat the fermented oats by themselves with no additional oats added, but I prefer to use them as a starter to prepare my normal oat dishes – I find that the flavour can be a little overpowering otherwise, though I assume that it’s a flavour you could easily get used to. You could also counteract this by shortening the fermentation time to reduce the sourness of the oats. If you were wanting to eat the starter only, I suggest mixing it with some almond milk to thin it out a little, and adding in a sweetener – I really like molasses in mine, though any other sweetener would work well here. You could also try blending it which will make it smoother and a little creamier too. Try to keep the starter at a stable temperature while fermenting. 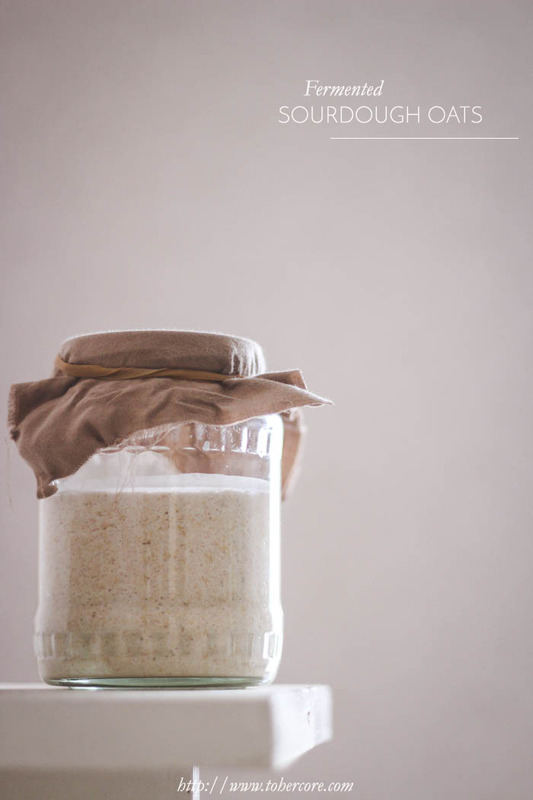 You don’t need to be too fussy about this – it’s not as finicky as other ferments such as sourdough bread starter or yoghurt – but usually it will work best if you can keep the temperature fairly consistent, so placing it in a cupboard and/or out of direct sunlight would be ideal. 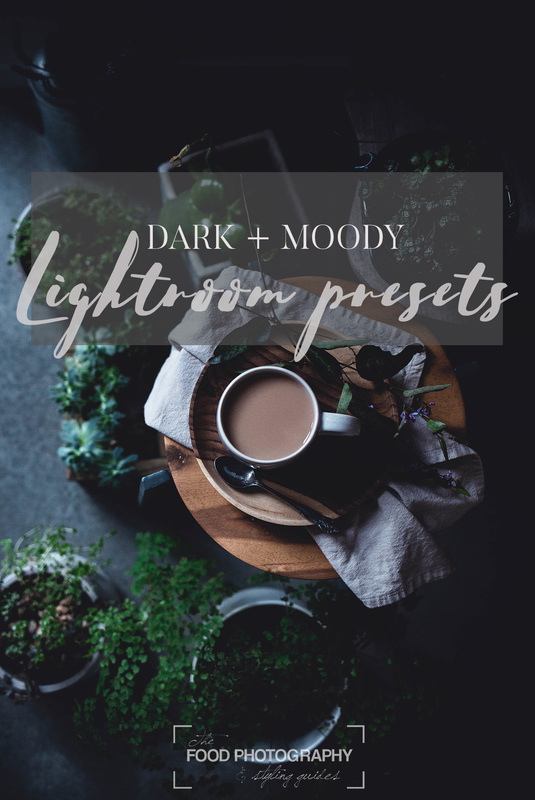 I also try to use a wooden or glass spoon – anything not metallic as I know from past experiences that metallic utensils don’t mix well with fermenting foods. You can use any type of oat grain to make your starter. 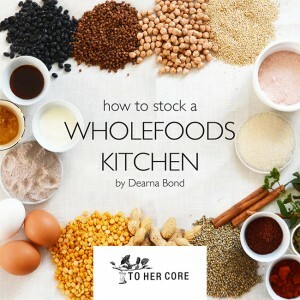 I usually buy organic oats from a local wholefoods store which are rolled and cracked – essentially you want the starch inside the grain to be exposed as the wild bacteria will feed off this starch during the fermentation process, creating the beneficial yeasts and acids. 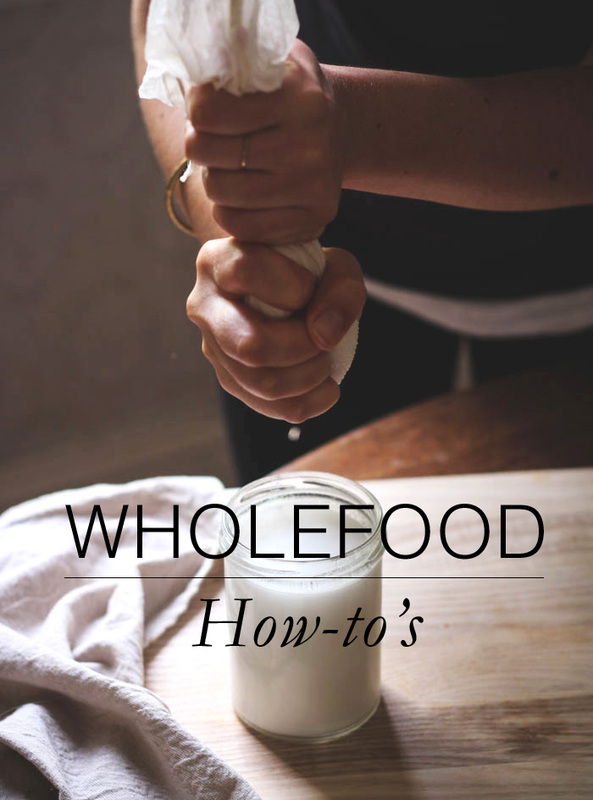 If you use whole oats make sure to break them up well in a blender or flour mill until they resemble oat grouts – you can do this in bulk and store them in a large jar ready to feed the starter with so that you don’t need to process them each time. To make the fermented oats, first add the oats to a blender and pulse a few times to break them up a little, exposing some of the starchy insides. Add to a glass jar with the water and mix until combined. Place a cloth over the top, secured with a band, and leave to ferment for 48 - 72 hours. after this period, you can remove part of the starter to make porridge with, and add the same amount of fresh oats and water back to the jar. Mix thoroughly, and leave to ferment another few days before using again. To make the Sourdough Porridge, combine all ingredients in a pot and cook over low heat 10 - 15 minutes until creamy. Enjoy topped with your favorite toppings (eg crushed nuts or seeds, fresh fruit, yoghurt etc). 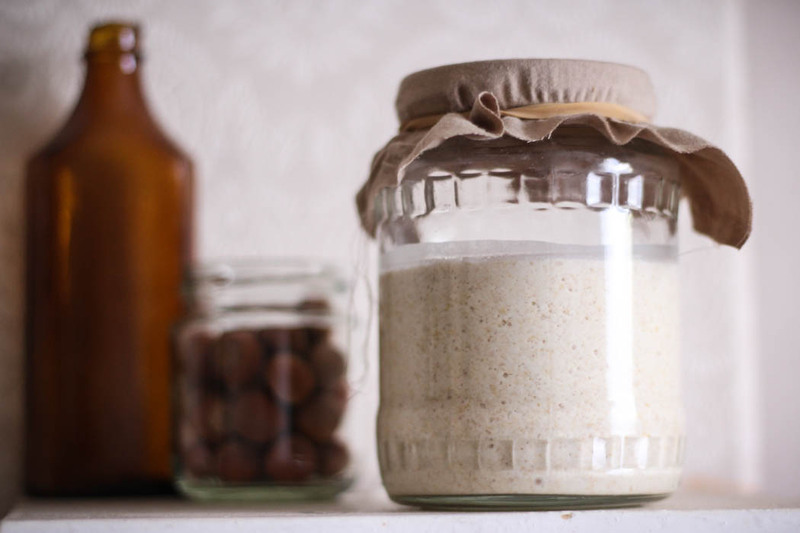 To make the Sourdough Bircher Muesli, add all ingredients to a jar and mix well to combine. Add a lid, and then store in the fridge overnight. Eat in the morning topped with your favorite toppings (eg crushed nuts or seeds, fresh fruit, yoghurt etc). 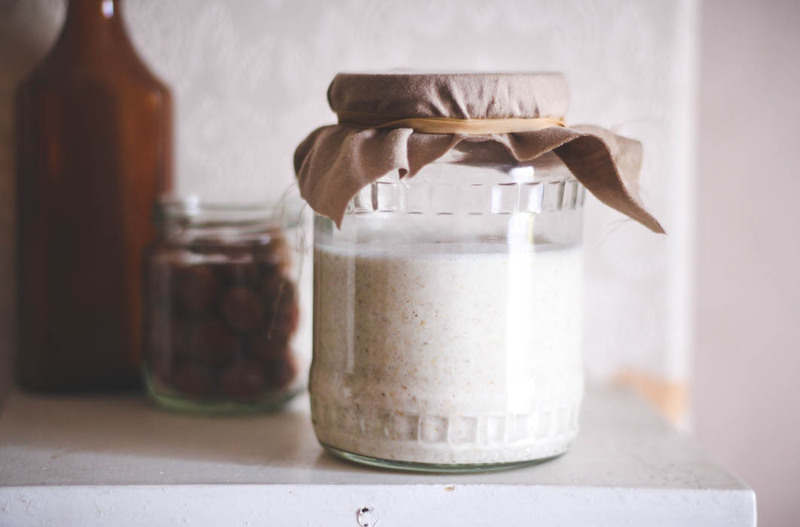 Once you have take out some of the starter to use to make your sourdough oats, simply add in roughly the same amount of dry oats and water and stir well to combine. Cover, and allow to sit 24 - 48 hours until using again. Are you a porridge lover? 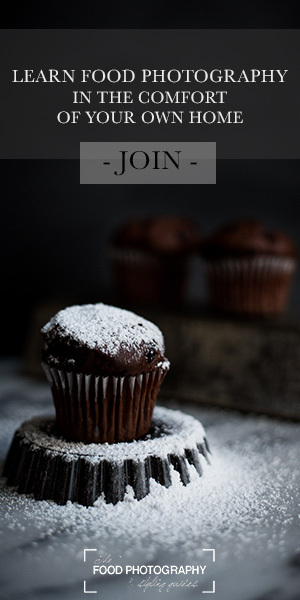 Be sure to check out my complete guide to making healthier (and yummier!) wholegrain porridge. Thanks Lauren! Fermented oats should definitely be a little easier to digest so I think would be a good choice to start with :) You’ll have to keep me posted with how it goes! Do you just feed the sour oats starter as you’d do with normal sour dough starters? Hi Liberty – I keep them on the bench or in the cupboard and keep taking out a portion of the fermented oats and “feeding” it with dry oats/water and then repeating. This means you will need to use some around every second day or so – if you wanted to eat them less often you could refrigerate the starter to slow down the fermenting process. If you want to use some of the starter to make bircher-style muesli/overnight oats, I usually mix this and then leave it in the fridge overnight – you could leave it on the bench, but it would continue to ferment and may be quite sour by the morning. Sourdough oats?! Love it Dearna! And I especially love how you use them in Bircher Muesli, one of my favorite warm weather breakfasts. I really like the wooden bowl. Please let me know where I can buy it. Hi Debbie – its cute isnt it? I actually bought it on holiday in Bali last year from a little boutique in Seminyak. im 66 now and quite concerned about my health..and its rare that i find posts similar to yours..
when others talk about fermenting oats..they always talk about adding a starter..you seem to believe..and i agree.. that one can get great benefits from just letting the oats do there own thing for a few days..am i right ? IF IM NOT.. PLEASE LET ME KNOW HOW TO GET THE BEST RESULTS for the probiotic effects of just letting the oats do there thing for a few days… thanks again …jimmy. Most of the oat flakes in Canada and the US(?) will have been heated to kill of an enzyme that reduces the shelf life of the flakes. I found a supplier of oat grains and flake them myself with a flaker. The grains are perfect as they will grow a plant if put into soil. So unless the grains of oats are not alive when made into flakes and not heat treated, the microbial composition might be risky. Also if one wants to mill the oat grains, it has to be remembered that oat are rather fatty compared to other grains such as spelt or Kamut. I will try the same as with spelt grain to make sourdough from scratch, but I worry about the rancidity. Hi, I absolutely love this recipe and had the Bircher for breakfast days in a row and don’t anticipate that changing soon. I have one question (I’m new to fermenting): How long do you keep going with the starter and when if at all does it need to go in the fridge? how can you make sure that the bacteria in the fermented food don’t produce any harmful substances? how do you prevent putrefaction? Interesting idea, will try. For years now I’ve mixed my morning oatmeal with water in the pan I’ll cook them in at night before I go to bed. In the morning, cook as usual, though often it requires a bit of extra water to get the ‘right’ texture. Flavor (to me) is lovely. Makes me salivate when I smell it, (classic response to fermented foods). I use a little honey or maple syrup to sweeten, and eat with homemade yogurt. Stainless steel pan, but I’ve never noticed a problem, and in summer it gets quite sour. Have always seen the admonition to avoid metal, but never thought of it when doing this. Wonder if it’s connected to traditional pans, like cast iron or aluminum, both of which are highly reactive? I’m curious now, have you tested this metal thing further since this was posted? I tried this. By the time I had bubbles (roughly 72 hours) I also had mold. How is this to “live” on the countertop with no refrigeration and not get moldy? Hello, I wonder if the fermentation will help with the phytic acid of the oats. I have breastfeed my baby exclusively for 6 months and now he has started with food. I want to make oats porridge to him. I was thinking to put oats, water and a bit of ecologist flour to ferment for 12 hours, I dont know if this is enough and then I will cooked then and mix with breast milk. Or should I mix the oats just with breast milk and let it ferment? Could PLEASE someone enlighten me. I would REALLY appreciate it. Thanks with my heart. Hi Dearna! I found the fermented oats recipe on vegpeace.org and decided to give it a try. I have to say that the fist time I tasted the final result, it felt too overpowering the flavor. After doing some extra research I found this post. 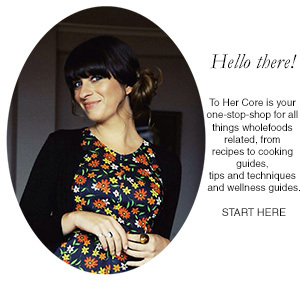 Thanks for the recipes… definitively more palatable the way you suggest. Wonderful! I am wondering if you have ever made an oat sourdough starter for bread? I have several going and they don’t seem to be fermenting the same way other flours do. Hopefully you have some advise? I am inclined to agree with @Quebec City. The fermentation of rolled oats without culturing is questionable. After de-hulling, rolled oats are usually kiln dried, and then steam heated, they are unlikely to ferment without a starter culture. I have had plenty of success fermenting oats without a starter culture. As stated in the tips section, you want to break them up to expose the starch inside. I usually always buy locally sourced oats which aren’t heated.